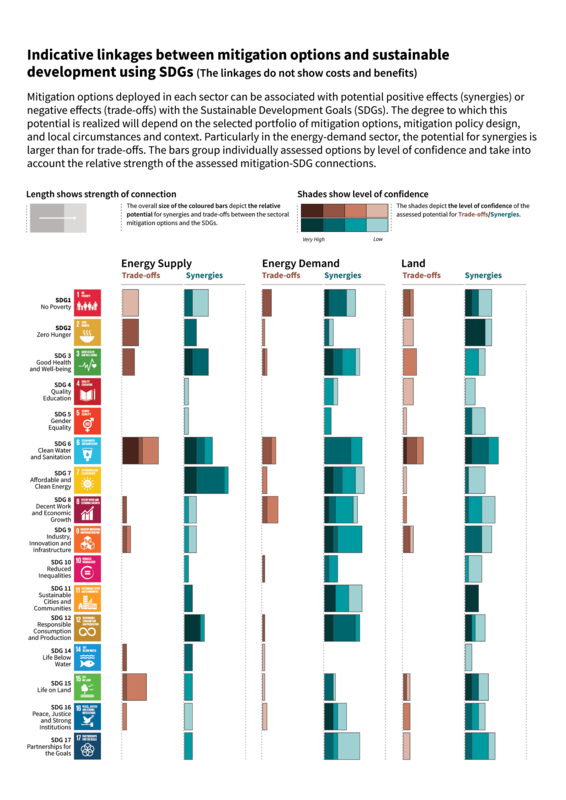 Information about the net impacts of mitigation on sustainable development in 1.5°C pathways is available only for a limited number of SDGs and mitigation options. Only a limited number of studies have assessed the benefits of avoided climate change impacts of 1.5°C pathways for the SDGs, and the co-effects of adaptation for mitigation and the SDGs. The assessment of the indicative mitigation potentials in Figure SPM.4 is a step further from AR5 towards a more comprehensive and integrated assessment in the future.